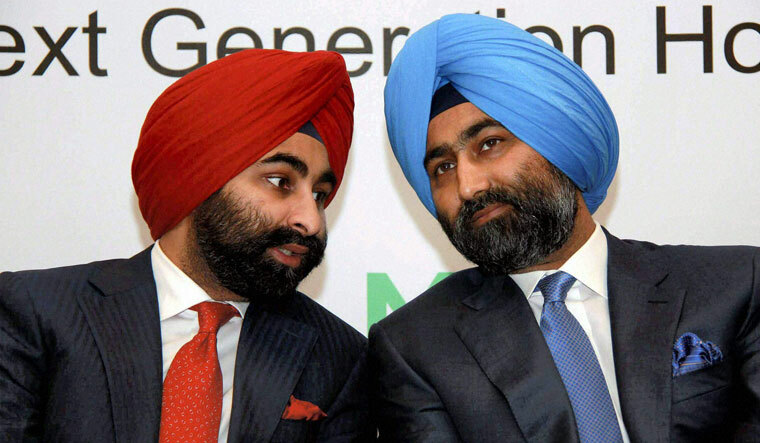 Former Fortis Healthcare promoter Shivinder Singh said on Tuesday he has moved the National Company Law Tribunal (NCLT) against elder brother Malvinder and ex-Religare chief Sunil Godhwani, while dissociating from his brother as business partner. Shivinder alleged “oppression and mismanagement” against the duo at their joint businesses. Shivinder also alleged that collective and ongoing actions of his elder brother and Godhwani led to a systemic undermining of the interests of companies and their shareholders. "I have filed a case against Malvinder and Sunil Godhwani in the NCLT for oppression and mismanagement of RHC Holding, Religare and Fortis," Shivinder stated. He further said that this action was "long overdue" but got delayed in the fond hope that better sense shall eventually prevail and another "ugly chapter of family feud" would not be written. "The collective, ongoing, actions of Malvinder and Sunil Godhwani led to a systematic undermining of the interests of the companies and their shareholders mentioned above as also the committed and loyal employees of the group," Shivinder said. Malvinder Singh is yet to respond to the accusations. Fortis operates about 30 private hospitals in India. The hospital, which was up for sale, has accepted an investment offer from Malaysia’s IHH Healthcare Bhd (IHHH.KL) in July, ending months of speculation over control of the company. Shivinder and Malvinder also sold their controlling stake in drugmaker Ranbaxy Laboratories, founded by their family, to Japan’s Daiichi Sankyo Co in 2008.